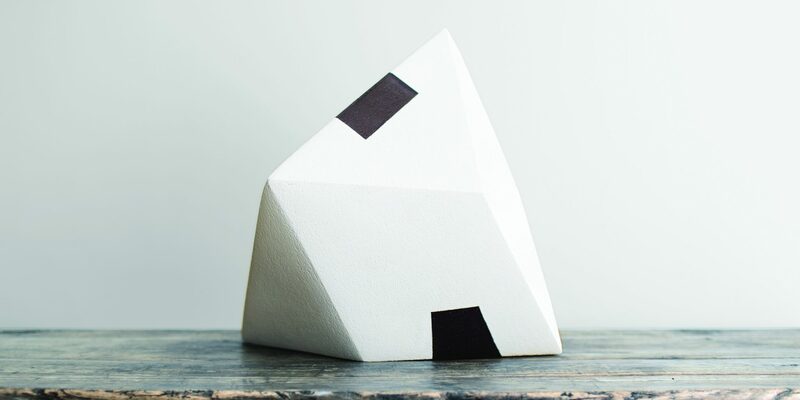 Sitting in her corner office in Boland Hall, Assistant Professor of Art Jury Smith, M.F.A., discusses the six large-scale black and white ceramic sculptures that make up her latest collection, "Hush." 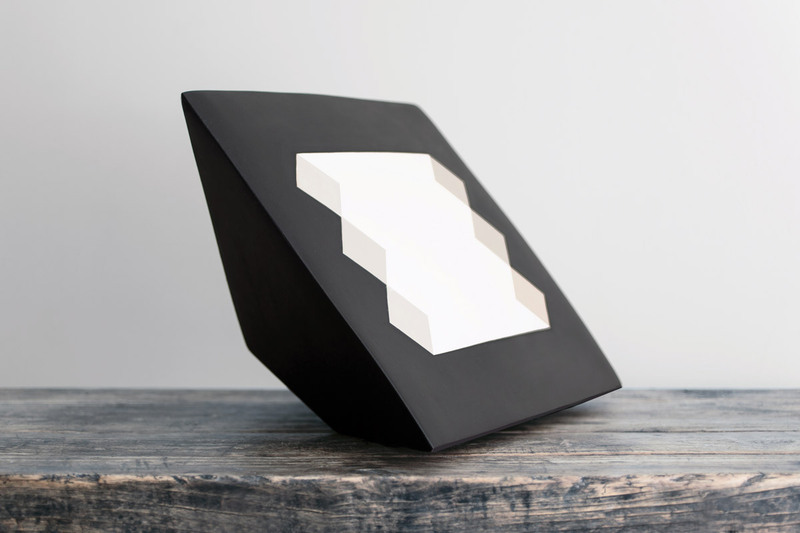 The geometric pieces of varying shapes and sizes were exhibited at the Delaware Contemporary Museum in Wilmington, Delaware, from November 2016 until January of this year. “My most recent exhibition prior to 'Hush' was relatively large with 23 pieces, so I’m enjoying the intimate and yet magnified feel of this exhibition,” she says. Smith uses clay as her primary medium and other materials to create additional layers of meaning and texture. The pieces are hand-built using clay slabs to create hollow forms. 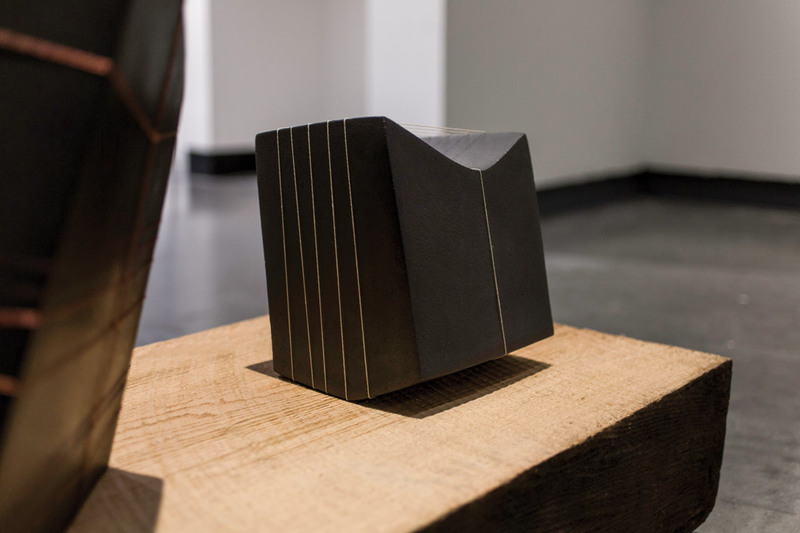 "Hush" is an exhibit of ceramic, wooden and Venetian plaster forms in dialogue with stone, and twine. Smith earned a Bachelor of Fine Arts in 2001 and Master of Fine Arts in 2004 from Tyler School of Art of Temple University, but she did not decide to pursue an art career until her junior year of college. She cites an artistic influence from her great- grandmother, who was a painter. Since her studio career began in 2005, Smith’s work has been included in over 50 exhibitions across the country and abroad in Ireland, Germany and Korea. In 2016, she was featured at three solo exhibitions in as many states. 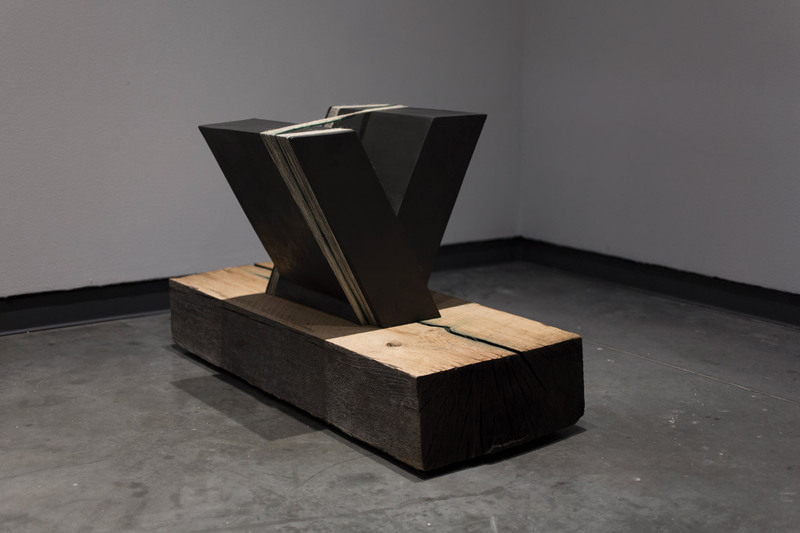 Smith has received both a Diploma of Honor and an Honorable Mention award from Korea’s Gyeonggi International Ceramic Biennial, one of the most prestigious ceramics exhibitions in the world. In addition, her work has received recognition from the Pennsylvania Council on the Arts in the form of two Project Grants and one PECO Grant. She also received a Michael J. Morris ’56 Grant for Scholarly Research at SJU and a Summer Research Grant. With the help of this support, Smith says, her work has evolved over time. Smith, who started at Saint Joseph’s as a visiting assistant professor in 2005, works to share her own methodology with her students. Smith uses her experiences as both an artist and a teacher to live a meaningful life.